Here in Holland you can eat mussels in almost every restaurant when they're in season. Served in a pan. 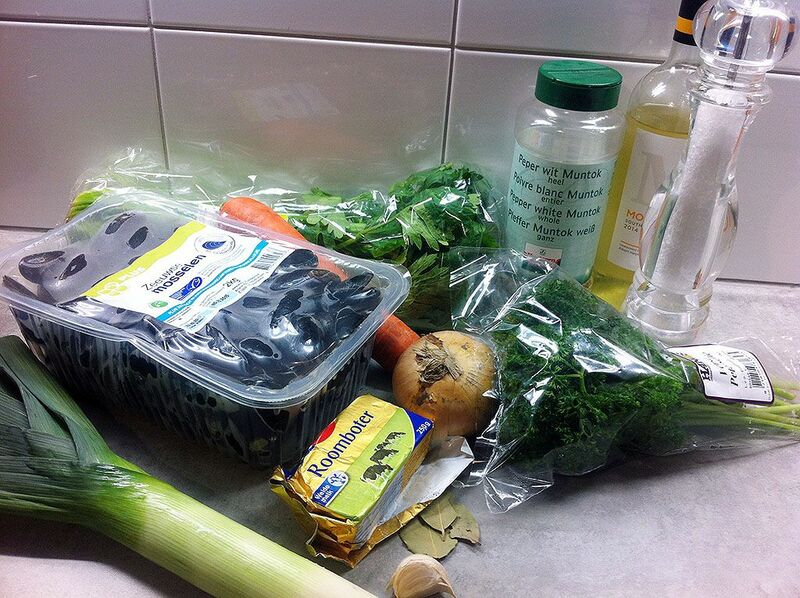 Try our Dutch mussels recipe, ready in 15 minutes. Note* About 1 kg per person, but some even have 1,5 kg per person. A little word of advice: there is very little risk when handling mussels that are freshly purchased. Before cooking, in preparation, check every mussel. Proper mussels should be tightly closed. 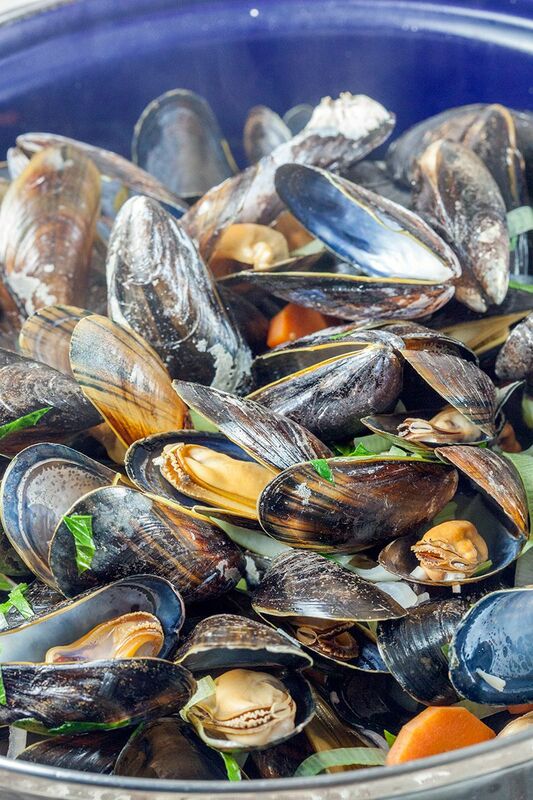 Discard any mussels that are cracked or broken. If a mussel is open, tap it against the counter. 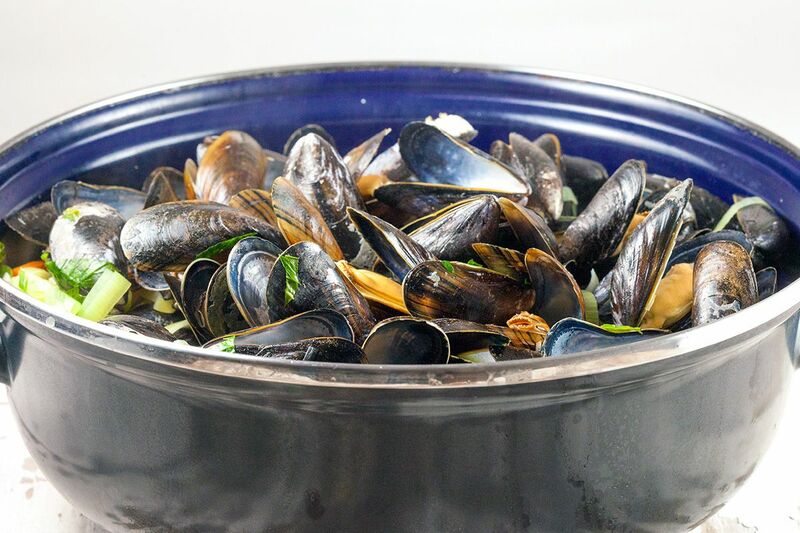 Which basically means that you can skip eating the mussels that are still tightly shut, even after cooking. PEEL the onion, garlic clove and carrot. RINSE leek, parsley and celery leaves. 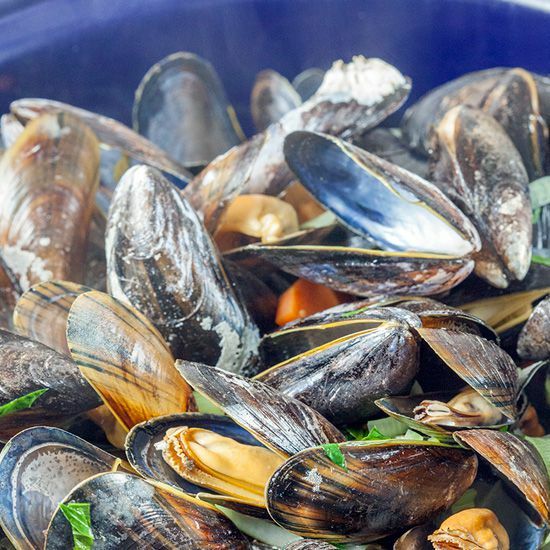 CLEAN the mussels under running cold water and check every mussel. CHOP the onion, garlic, carrot and leek in small pieces. Roughly chop the parsley and celery leaves. HEAT butter in the mussel pan or Dutch oven. Saute the chopped onion, garlic, carrot and leek for a few minutes. ADD the mussels, white wine, parsley, celery, bay leaves, peppercorns and salt and then place the lid on. COOK them on high heat for a maximum of 5 minutes, or until all the mussels opened up. Meanwhile shake the pan using the oven mitts. Done! Amazing how simple this really is, don’t you think? Serve with bread, fries, salad and mostly garlic sauce. Also try our dill bread recipe, it goes great with mussels!